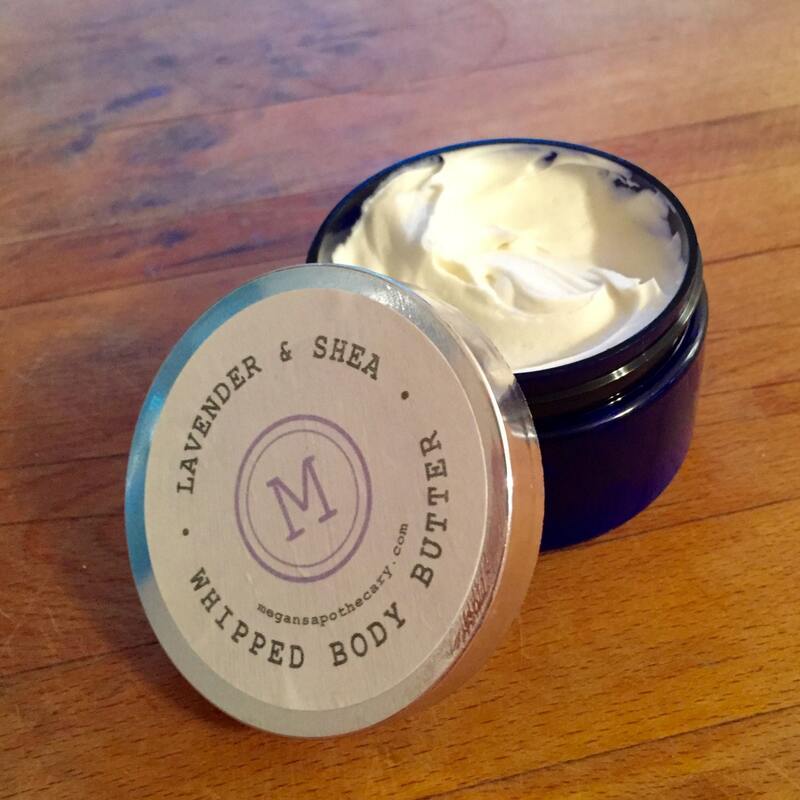 Lavender + Shea Whipped Body Butter (8 oz. jar), made with pure shea butter, coconut oil, beeswax, sunflower oil, vitamin E and lavender essential oil. This batch includes three times the normal amount of essential oil for an intensely therapeutic experience! Handmade with all natural ingredients and pure essential oil! This smells amazing and goes on smoothly!